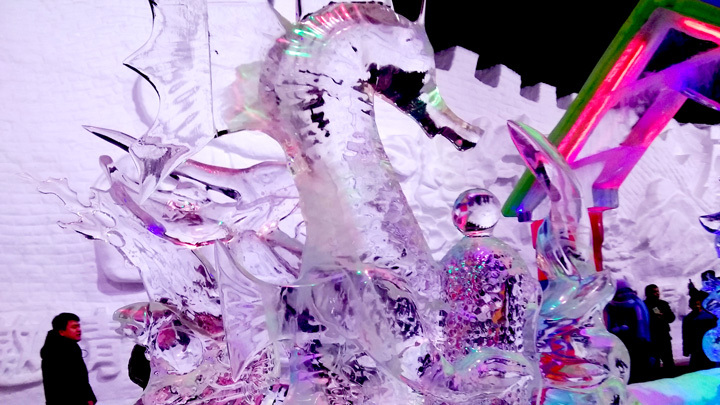 In Brief: Explore an ancient interconnected series of cave dwellings in the hills of Yanqing County; visit the Longqingxia Ice Festival on the way home. After a short walk up a valley, the caves come into sight. 3–4 hours of easy walking. 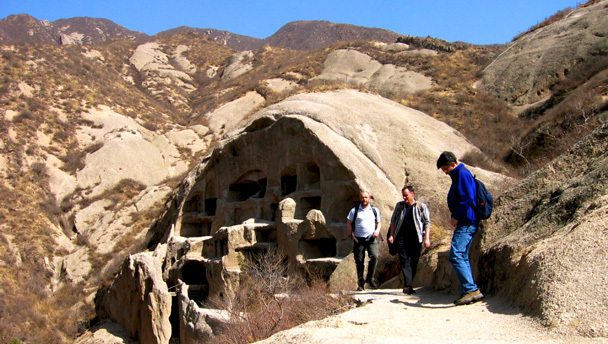 On this trip we will visit the valley where a Tang Dynasty ruler* and his followers created an inter-connected series of cave dwellings after fleeing from a coup. After the visit to the caves, we'll get an early dinner out in the country, and then head straight for the amazing show at the Longqingxia Ice Festival. This trip is suitable for children (no pushchairs, though) – it’s quite easy (not tough enough to count as a hike, even), and the cave dwellings are sure to spark the imagination. Nobody is certain exactly who it was that established the cave dwellings, only that they were made during the Tang Dynasty (618-907AD) and inhabited for approximately 200 years. 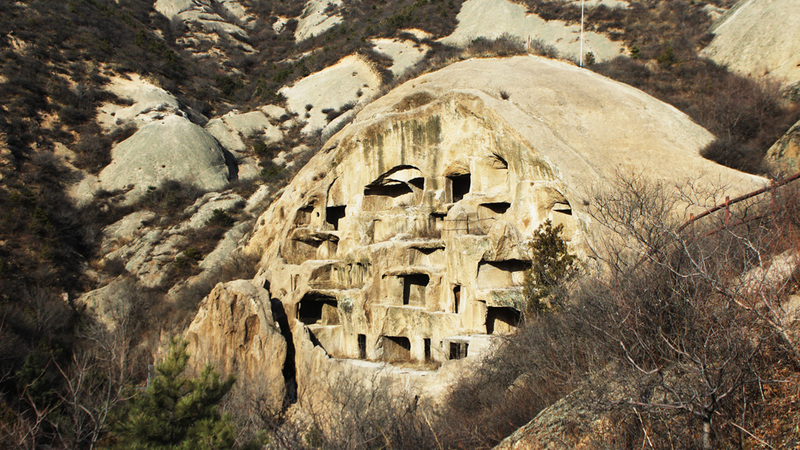 The cave dwellings were carved from the sandstone cliff and are extensive and well-designed, connected by tunnels and stairways, and featuring heated “kang” beds, temples and meeting rooms, and animal shelters on the lower levels. Most of the rooms are three to four cubic meters in size, and some are high up on the cliff face. It was hard for the cave-dwellers to survive on the produce of the valley, and they would often raid the nearby villages for food (and sometimes women). This annoyed the villagers, and after a while it became known that the hidden valley was inhabited by rebels and bandits. By this time, the Tang Dynasty had fallen to the Khitans who established the Liao Dynasty (907-1125AD). The valley was besieged by the army of the Liao, and all of the inhabitants (approximately 1,000) were killed. Local legend has it that the caves were built in the body of a dragon, and that a curious rock on one of the paths is a meteorite fallen from the sky. In the 1960s some of the caves at the foot of the valley were used to store weapons and ammunition. In 1976 the caves were damaged by an earthquake. As a result, some of outer rooms are visible in cross-section. We'll get an early dinner at a local restaurant after the hike, after which it should be dark enough to witness the full spectacle of the Longqingxia Ice Festival. 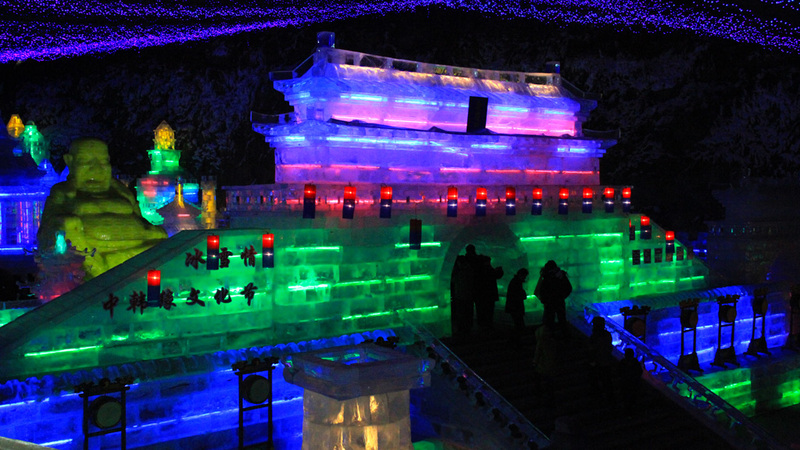 Festival – smaller in scale, but closer to Beijing … and we're pretty sure it's not going to be -40°C! 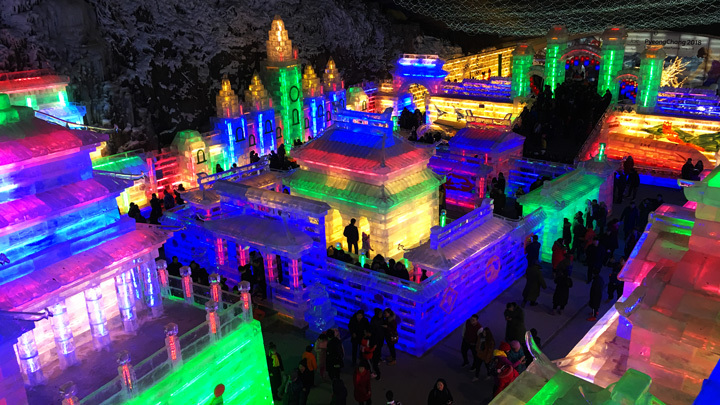 Click here to see our photos from our 2018 visit to the Longqingxia Ice Festival and the Tang Caves. We're timing our visit for near the end of the Chinese New Year holiday, hopefully avoiding huge crowds but still getting a good look at the sculptures before the festival winds down. 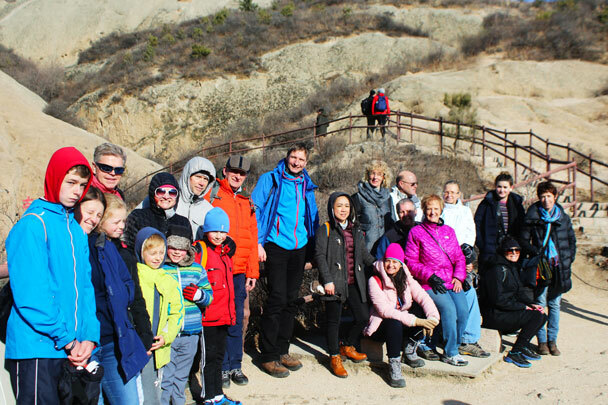 We'll organise our visit at Longqingxia as sort of free time – with two hours to look around, you can stick with the group or explore by yourself, and we'll all meet up again back at the bus at the predetermined time. Footwear with good grip for walking on ice. At the caves, we might also be able to climb a little way up one of the hills, but in general this is not much of a hiking trip. It's going to be cold, and we won't be moving around at hiking speed. 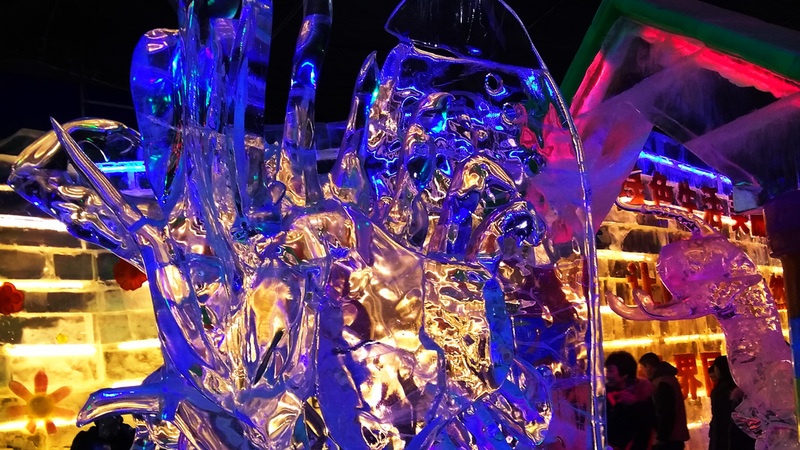 After a walk about the Tang Dynasty Caves site we braved the crowds at the Longqingxia Ice Festival—see 13 photos from the caves and ice festival. 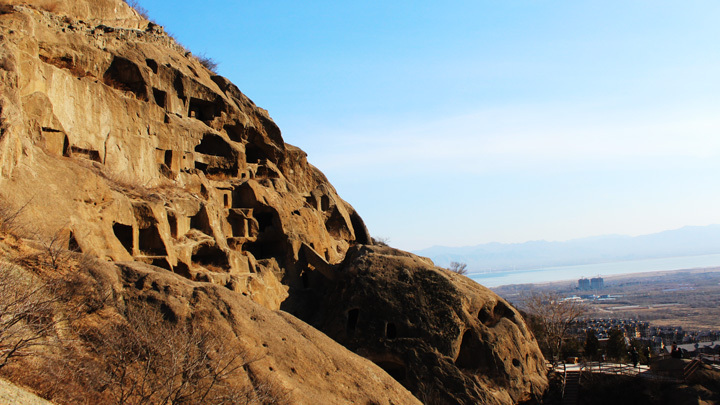 See 30 photos from a trip where we took a look around the Tang Dynasty Caves at Guyaju before heading on to the Longqingxia Ice Festival. Photos from an outing in Yanqing District, where we visited a valley where people used to live in caves before heading on to the Longqingxia Ice Festival. 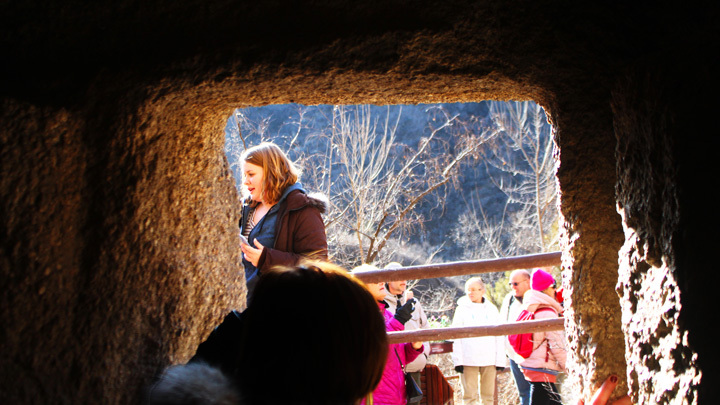 Photos from our visit to the valley where a Tang Dynasty leader and his followers created an inter-connected series of cave dwellings.